Vladi Krubich is one of the Managing Principals and Founders of Atlas PWA. Vladi has served the needs of individuals, families and business owners since 2000. 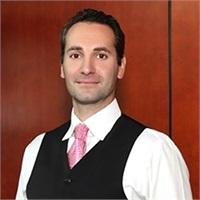 Among his professional designations, he has been a CFP® professional since 2006 and has received accolades such as a selection as a FIVE STAR Wealth manager as seen in New Jersey Monthly magazine for the 2012 & 2013 years. This elite group of advisors represents less than 1% of wealth managers in the New Jersey area*.